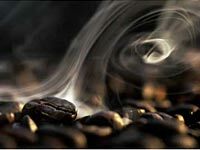 Welcome and thank you for visiting the newly designed site for Just Roasted Coffees. If you have any suggestions, please feel welcome to drop us a note and give us your feedback. 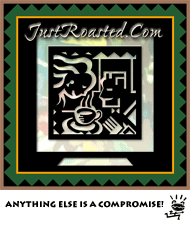 Just Roasted Coffees, as JustRoasted.com, offers a wide range of 100% Arabica coffees from around the globe, including dozens of Fair Trade Organic varieties. All of our coffees are hand-selected and micro-roasted European-style. Each coffee is available as whole bean or ground and are typically shipped within one day of roasting. No fresher coffee is available unless you roast it yourself. "Anything else is simply a compromise!"